"Nature" is the theme for this week over at The Lazy Pit Bull's 52 Snapshots of Life photo challenge. Thursday afternoon I was walking over to my neighborhood cat-sitting gig, and I happened upon this little cutie pie chipmunk. 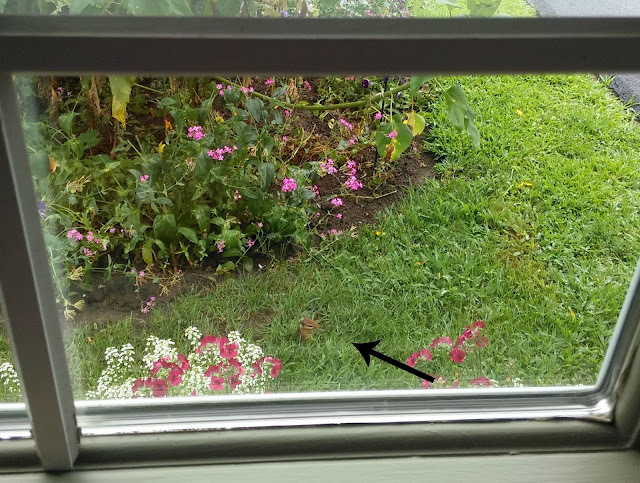 I was so thankful that I had my Kindle Fire with me so I could snap a few pictures of him through the window. He played coy for a few minutes, barely popping his head out to survey his surroundings, but finally came out and even (reluctantly) agreed to participate in the Sunday Selfies blog hop! He's so cure! and small! 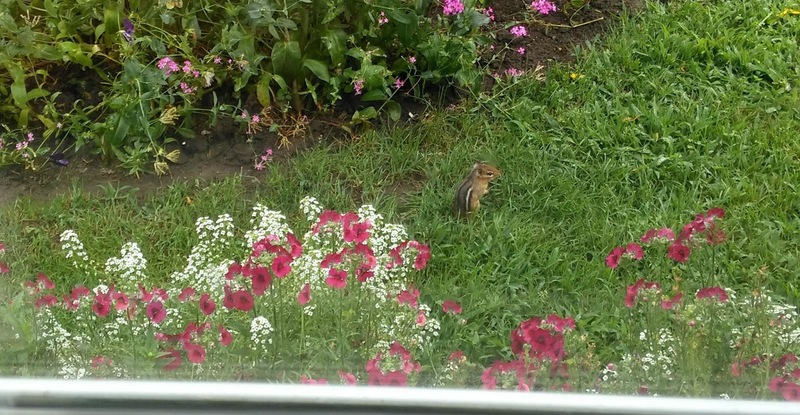 I don't think I've ever seen a chipmunk in person! If we have them in our area I don't know - but they're so tiny they probably are just hiding! Adorable photos. Hello, sweet one! Cute selfie! My mom thinks chippers are adorable, I myself, want to catch one. He is very cute. Rosie loves to watch chipmunks run by our front window. They pretty much ignore her. I just adore chipmunks!! He is adorable! How very cute! We don't have chipmunks, but we do have red squirrels!! Mr Chipmunk is mighty cute. We had on here once, but we think the squirrels chased him away. He posed very nicely for the pics! Hi Mr. Chipmunk! You are very cute. 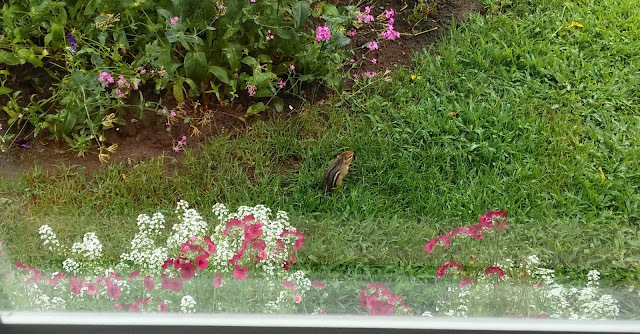 I have never seen a chipmunk. He is cute. Awww... Glogirly LOVES chipmunks. She calls them chippies. In fact we even have a close up photo of her hand feeding one on our living room wall! What an adorable baby! Woofs and howls from the Bark & Swagger kids! oooh, we have a TON of those over here!!! I've never seen a real live chipmunk. What a cute guest selfie. We don't have any chipmunks around here...only squirrels. He's very cute! A chippie! I remember how much Nissy loved the chippies. He was always bringing them home.